Studies show that teens who demonstrate grit persist at hard tasks and outperform their competitors. Grit is a critical strength of most people who are successful. It is especially complex because it is related to other skills and mindsets such as optimism, purpose, growth mindset, bravery, and even self-control. 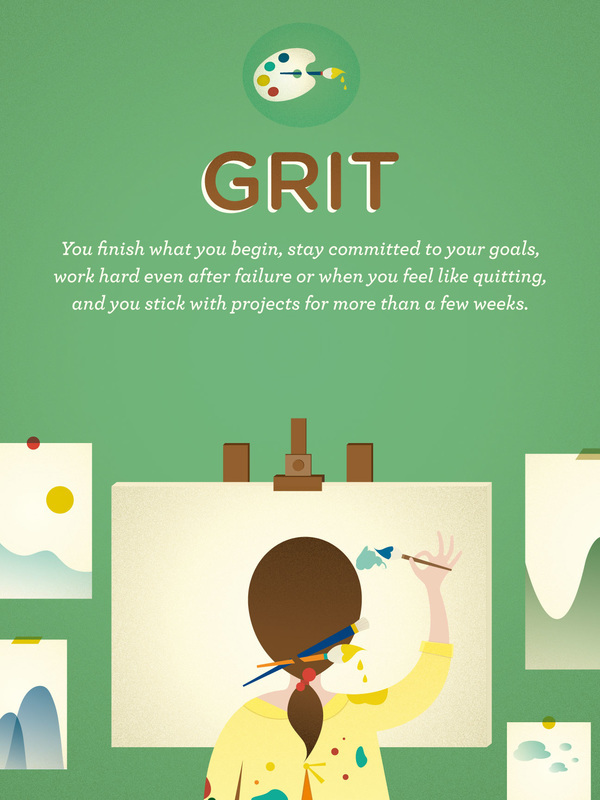 There are a lot of misconceptions about grit. Grit is much more than just encouraging students to “try harder” or not give up—it’s also about helping you find your passion. Having grit does not mean never quitting—it means quitting responsibly (and not just because times get tough) and sticking to the things to which you are truly dedicated.